Do I rush out and buy all the hiking gear I need? Flog the credit card buying something I don’t know enough about? John Chapman has a different view: join a Bushwalking or Hiking Club. John Chapman, Australian hiking guru and leading author has kindly agreed to be the second guest poster in response to Megan’s question: Hiking Gear – What are the basics to get started? John has just sent the 5th edition of his guidebook South West Tasmania to the printers. It will be ready for release in June 2008. It is a highly recommended resource. See below for more details about “South West Tasmania”. It is quite easy – tell her to keep her credit card in her pocket at the moment – yes, some things are expensive, but if you need them they end up being cheap, but you certainly don’t need everything. Suggest she goes along and joins one of the bushwalking clubs and goes on some overnight walks with them – yes most clubs do mainly day walks but the bigger clubs all have a number of keen overnight walkers. She can hire gear from the club like a tent, sleeping bag, rain jacket and pack and maybe other items and she can learn from her experience and also see how others do it and adapt the things she thinks would work for her. It’s also a good way to get some experience quickly and also possibly meet some other like minded people. Tell her that while most clubs will often do day walking only, just ask to see the overnight walk program. It there are are overnight walks on the program then she will know they have a core group of overnight walkers. She should not shell out lots of cash until she knows what she wants and needs. Also tell her good equipment will normally last between 10 and 20 years so its worth getting the best for her needs (not always the most expensive) as it ends up cheap in the long run. 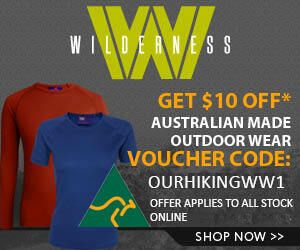 Bushwalking Victoria is the peak body for all bushwalkers and bushwalking clubs in Victoria, Australia. 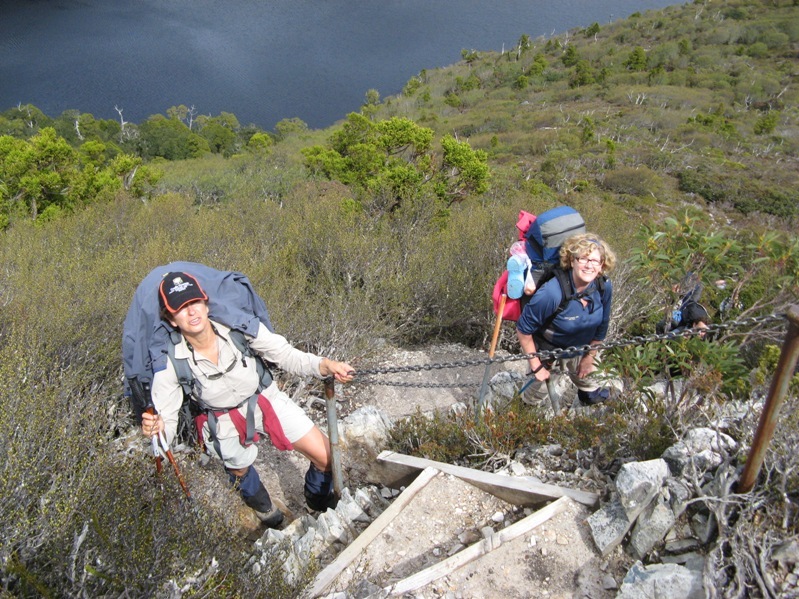 There are many bushwalking clubs where you can meet like minded people. If she is at Melbourne – the logical choice is MUMC (Melb Uni Mountaineering Club) – they are very active and have lots of gear to hire and go lots of places. I was once climbing convener then treasurer of that club years ago and am a life member – I have occasional contact and they will help her out lots – don’t bother with the other clubs. The club rooms are open at lunchtime at the north end of the ovals close to St Hildas College, the student union or sports union will help her to find them if she has trouble. The 5th edition of this guide book is currently at the printer and is scheduled for delivery on June 2nd 2008. The new edition is a major upgrade from earlier editons – the guide has 224 pages (last edition had 192) and has 141 colour photographs (previous edition had 75 black and white photos). New additions are colour topographic maps for all major tracks and routes and gradient profiles for all major tracks and routes. New areas included are the Picton Range and also an expnasion of brief notes of harder or lesser known walking routes. Overall the new guide describes about 200 days of walking (the previous edition described 125 days). Previously published in 1976 (note form on A4 paper), 1978, 1983, 1990 and 1998. Covers all the main tracks and routes in South West and Wild Rivers National Parks in Tasmania. This covers the southern half of the Western Tasmania World Heritage Area. Track notes for the northern half are in another guide, Cradle Mountain Lake St Clair National Park. Contains comprehensive track notes, brief background notes on history, botany and geology, comprehensive planning and preparation notes and access details. Walks described are South Coast Track, South West Cape, Port Davey Track, Huon & McKays Tracks, Precipitious Bluff (Southern Ranges), Picton Range, Federation Peak and approaches (Eastern Arthurs and Farmhouse Creek), Western Arthur Range, Mt Anne, and Frenchmans Cap. Included as brief planning notes are the West Coast (Strahan to Port Davey), the Frankland Range, the Denison, Spires and King William Ranges and also a new section of Other Routes which includes Mt Hopetoun, Old River to Federation Peak, White Monolith Range, Vanishing Falls, Mt Norold and the Prince of Wales Range. That’s some great advice from John. Getting your kit together can cost a lot of money, so you want to make sure you get the right equipment with that hard earned dosh. The only way to be really sure is to try before you buy, and hiring/borrowing is the only way you can do this.